I am standing in line at my local supermarket and I already know how this is going to play out. It’s the same line I usually gravitate towards and I recognise the staff member’s face because he’s served me before. We run through our usual small talk and then he asks me his usual “Do you have an XYZ rewards card?” of which I reply the same “no” that I always do. Then we finish, he takes my money and I go home. Clearly this is not what the marketing team had in mind when developing the “ask every customer” acquisition strategy for the program, yet how would a manager know that this is my unwavering weekly experience? What if I wanted to join? With the evolution of technology and recent changes to the liquor and gaming legislation, venues can quite often become tangled in the introduction of new systems and or changes to the current practices for the wrong reasons. Many changes are often made to make life easier for us as operators however how often do we in turn review the impact of the customer. We tend to implement (sometimes without meaning) road blocks for customers forcing them to manoeuvre though obstacles during their visit. Not until we literally walk outside the venue and walk the steps of the customer can we truly understand the impact. Take for example a new member driving into the car park for dinner for the first time? First impressions are vitally important. Consider whether there enough lighting to make them feel safe. Is there enough signage to lead them into your venue? How well maintained are the gardens? The patron then walks into reception! How are they greeted (usually the first question is “are you a member”). If they want to join, how easy is this process and how long does it take or are they even offered a membership? Do you give them any information immediately about the club? I am sure you get the idea however each step is vitally important to ensure not only the patron enjoys the current visit but will return. With the new technology now at our fingertips whether it be Card Based Gaming, TITO, Electronic sign in registers or new POS (Point of Sale) systems there is an ultimate need to ensure this not only benefits the venue but improves the experience of the member. It may also mean that you have to undertake research surveys to understand the needs and expectations of the customers. So next time you consider new technology (or systems) try walking the steps of the customer to see what barriers might be present and if there are alternatives to ensure the customer experience is maximised. 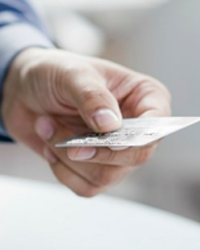 Interested in exploring your venue’s loyalty program options? Contact us on info@dws.net.au or call (07) 3878 9355.